Organic German Bakeshop is a great place if you love cheese and everything organic. 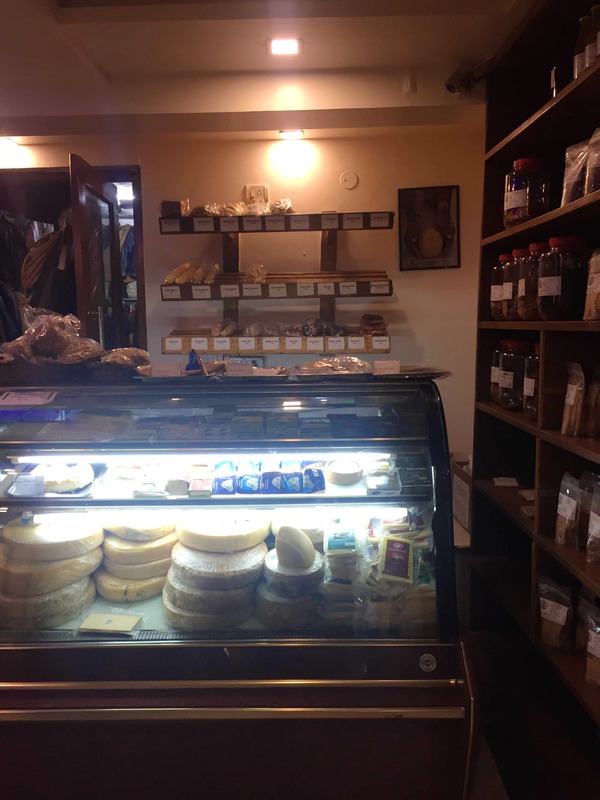 They have cheese from Kodai, Auroville, Sikkim, Himachal and Nepal. They offer a variety of cheese, mozzarella, feta, blue to name a few. The price of the cheese varies depending on the product. I feel that their service has a room for improvement. Apart from a variety of cheese, they have baked goodies, which are really delicious. They also have a cafe that serves organic food. You could also buy some organic dips and snacks!